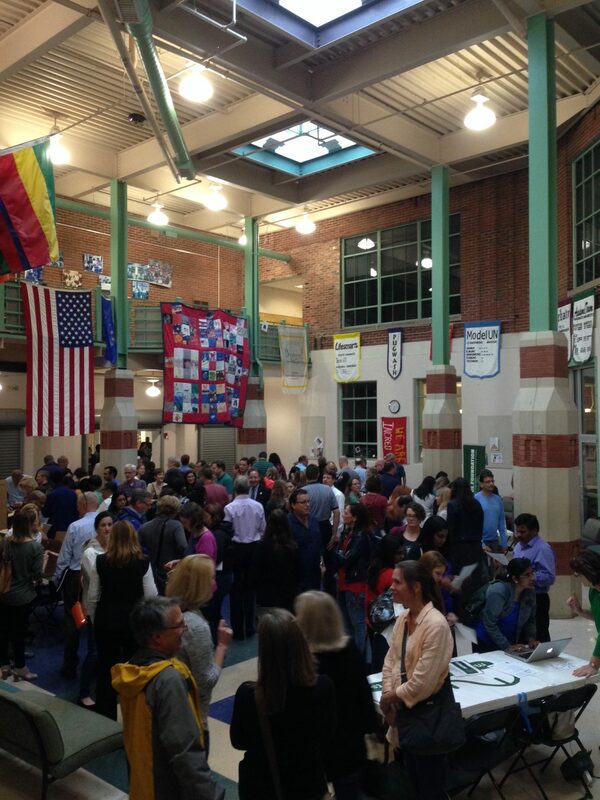 On the evening of May 24, parents of incoming freshmen assembled at Maggie Walker for an orientation session. Speakers included incoming Director Dr. Lowerre, incoming PTSA president Anthony Taylor, Auction Committee & Advocacy Chair Peggy Feldmann, Fall Festival Committee Chair Samantha Dardick, School Advisory Council member Laura Razzolini, and Foundation Executive Director Suzannah Stora. After the presentation, parents gathered in the commons and cafeteria to meet each other and to sign up for various volunteer opportunities. The Foundation was happy to provide food, drinks, and volunteers to staff the reception. We so look forward to meeting the incoming freshmen in the fall!